Next Saturday the 16th of June is Bloomsday, which celebrates one day in the life of Dublin, which was set on June 16th 1904 in James Joyce’s Ulysses. This event has been happening annually in Ireland since 1954. This year is special, as this is the first year that the book’s copyright expired in Ireland. This should make it easier to perform, interpret, quote and extract sections of the book. 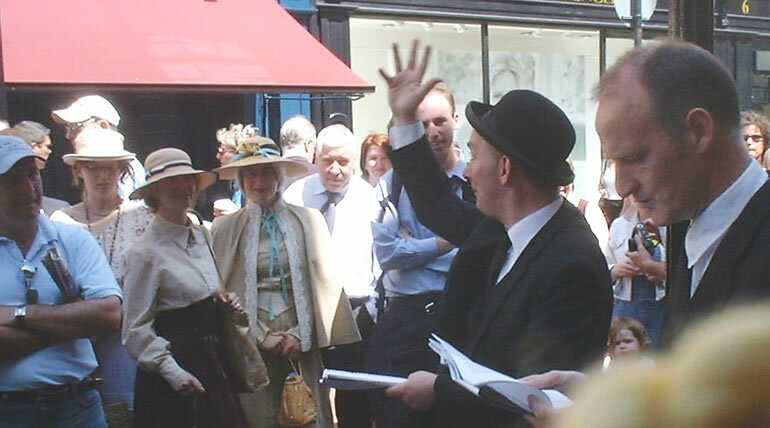 A wide range of events is planned for this year’s Bloomsday including the launch of Joyceways, an iPhone app; a James Joyce bicycle tour; concerts of songs and music featured in Ulysses, The Dead and other works of Joyce; a daily performance of Molly Bloom’s soliloquy by Eilin O’Dea in Bewley’s Cafe Theatre. Over a hundred Irish writers will read consecutively over 28 hours in an attempt to break the world record for the most authors reading one after the other at the Irish Writers’ Centre. 111 poets, novelists, playwrights and short story writers including John Boyne, Senator David Norris, Jack Harte, Kevin Barry, Gabriel Rosenstock, Dermot Bolger, Seamus Heaney, Marita Conlon McKenna, Gerald Dawe and Roddy Doyle will read. Tour will begin and finish James Joyce Centre, 35 N. Great George’s St. There will be many other events throughout Dublin city during the week.